Less than 15 months after presented a challenge of matching a $25 million gift from an anonymous donor for student scholarships, Lawrence University has more than met the challenge of its “Full Speed to Full Need” initiative. The Paulson family — Sarah, Nick ’14, Tom, Mary and Erik ’16 — have established a scholarship that will target students in their hometown of Kaukauna. Several recent gifts pushed the match total to $26.9 million, enabling Lawrence to establish an endowment of just under $52 million that will be used exclusively for scholarships to help meet students’ demonstrated financial need. During the Full Speed to Full Need campaign, 48 new student scholarships were created, including one by a Kaukauna family that will directly benefit local students. 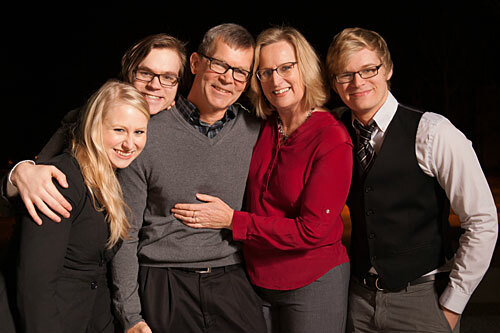 The Paulson Family Scholarship, established by Tom and Mary Paulson, and their three children, Sarah, Nick and Erik, will provide the full demonstrated financial need for four years to a Kaukauna High School graduate attending Lawrence. With a focus on high-need applicants, the scholarship will be awarded once each year to a student for a total of up to four recipients. The goal after four years is a freshman, sophomore, junior and senior will attend Lawrence as a Paulson Scholar. In the absence of a qualified student from Kaukauna High School, the full-need scholarship will be awarded to a student from any Fox Valley high school. 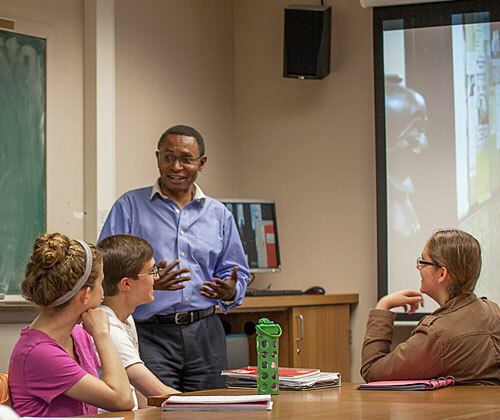 “Our vision is to make Lawrence accessible to motivated students who may not have the financial means for a Lawrence education,” said Paulson, who graduated from Lawrence as a non-traditional student at the age of 32 in 1993 thanks in part to the financial support he received from the college. Beyond Tom, the Paulson family connection to Lawrence includes son Nick, a 2014 Lawrence graduate who is employed at the college as a residence hall director and campus life student organizations coordinator, and son Erik, a senior at Lawrence. Sarah is a graduate of St. Norbert College. Like their parents, Nick, Erik and Sarah are all Kaukauna High School graduates. Tom Paulson enrolled at Lawrence on a part-time basis in 1983 through a tuition remission program set up with the Institute of Paper Chemistry, where he was employed as a research technician. When the IPC relocated from Appleton to Georgia Tech in 1989, he and his wife remained in town but were left without the tuition remission program. Students must be enrolled full time to be eligible for scholarships and grants at Lawrence. Paulson said Lawrence’s style of education and its focus on fostering creativity were important factors in his two sons following in his footsteps. Since announcing the Full Speed to Full Need matching gift challenge in September 2014, Lawrence received a total of 426 gifts. The support for the scholarship initiative was as broad as it was swift, with more than half the donors (236) contributing $500 or less. The college did receive 48 gifts of $100,000 or more, including seven of $1 million or more. For the 2015-16 academic year, 69 percent of Lawrence’s 1,500 students are receiving need-based financial aid packages that average $35,483.